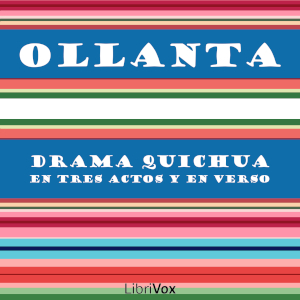 Ollantay or Ollantay is a drama originally written in colonial Quechua, considered by some to be of Inca origin - and as such the oldest and most outspoken expression of Quechua literature; and by others as of Hispanic colonial origin. The oldest manuscript of this work belonged to the priest Antonio Valdes (eighteenth century), who for some time was considered its original author; but there are other divergent manuscripts that have made us think of the existence of a common source, of more remote origin. The most accepted position today is that the story told in the drama is of Inca origin, that was conserved for a long time as oral tradition until in colonial times it was adapted for its theatrical staging according to the western mold, although the author of this adaptation remains unknown.